*See More Info in Description Below. The Jacto J400 CHT Cannon Sprayer features a 105 gal. poly tank, 3-Point hitch, mechanical agitation, 80′ av. spray swath, hydraulic controls & Jacto centrifugal pump. The Jacto’s Cannon J400 CHT Sprayer’s control valve has 9 settings to control the flow rate. It is adjustable for the operator comfort. The high density polyethylene 105 gallon capacity tank is heart shaped allowing total us of the spray mixture. And, no need for alignment! Tightening the belts is made by means of an easy to reach knob and screw. Providing the speed and versatility you need to protect your crops with ease and accuracy is where the Jacto J400 Canon Sprayer shines! 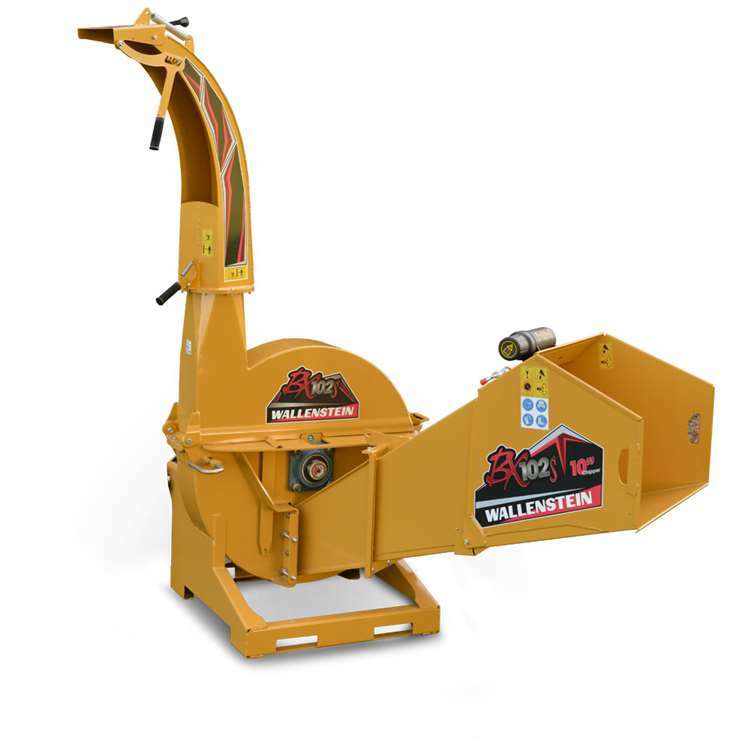 The Cannon head is specially designed as well as easy to operate. It delivers high air volume and speed covering up to an 80 foot wide swath. It turns manually up to 290 degrees horizontally and up to 34 degrees vertically. 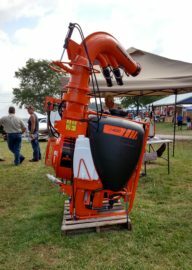 You will also find it the Jacto Cannon Sprayers effectual for applying defoliants & desiccants on mechanically-harvested crops. Popular crop applications include all types of vegetables, blueberries, strawberries, cane berries, pumpkins, melons, sweet corn, container and tree nursery applications and even some fruit tree applications. Besides crop care, Jacto cannon sprayers have proven very effective at fly control in dairy and feedlot operations and for poultry house cleaning. They have also been used effectively for nutrient feeding of pastures and for selective herbicide use in pastures. The best quotes for shipping Jacto J400 CHT Canon Sprayers are Business to Business shipments. If you know of a business address to ship to—it is more cost effective. It needs to be zoned commercial, have business hours, business signage, turnaround for a 55 ft. tractor trailer and a forklift. Perhaps you know of a local hardware store, lumber yard, feedmill, landscape shop, welding shop, car parts store etc. that could accept your delivery. Shipping to the nearest terminal is also a good option. 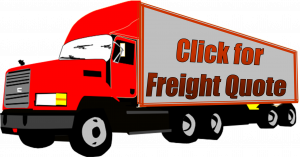 You will be prompted to indicate your FREIGHT QUOTE when checking out. We will add it to your total when we receive the order and email an invoice to you reflecting the added FREIGHT QUOTE. To qualify for Business to Business Shipping, the address needs to be zoned commercial, have business hours, business signage, turnaround for a 55 ft. tractor trailer and a forklift. 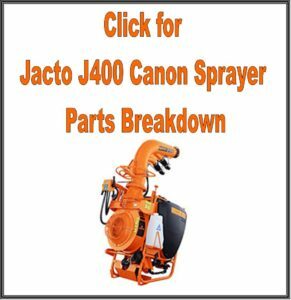 Questions about your order or shipping arrangements on your Jacto J400 CHT Canon Sprayer? Please do not hesitate to call or email us! 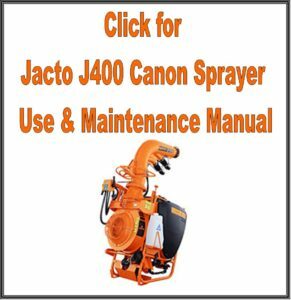 With the Jacto J400 CHT Canon Sprayer, you can cut spraying time by up to 75% and your chemical usage by 50% or more over hand spraying! Also, you may be interested in our Jacto Pruner for your trees!